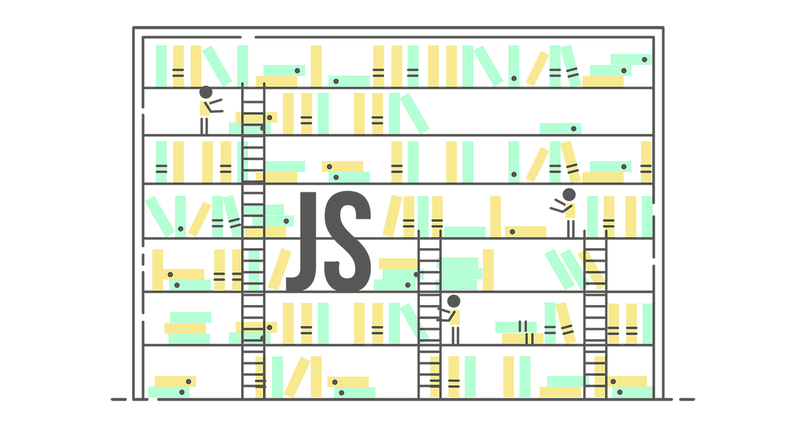 This article is inspired by a great piece by Anton Kosykh, How to write and build JS libraries in 2018. It has some great visual examples which are definitely worth to check out. how to prevent the unused parts of the application from landing in clients’ applications (soon). This gives us important traits - module’s shape cannot change, it is known statically (without running the code) and initialization order can be determined statically too. Those facts are leveraged by bundlers to produce more optimized code structures. Setting up the tools for a library seems to be such a basic task that you may be surprised that it has numerous nuances. In fact, even the authors of well-known libraries often don’t do this right, and there is no single exhaustive go-to source. In this piece, we’ll get practical and create a dummy project step-by-step to discuss the best library building practices. Let’s go! The most popular opinion is that it’s best to publish the code with ES5 syntax, so we’ll need to transpile our library. We’ll use Babel for this — there are other solutions available (e.g. Bublé), but Babel has the most features and the whole plugin ecosystem available. We could use babel-cli (babel src --out-dir dist), but generally speaking, Babel works with single files, not with whole projects. Of course, we could use it to transpile a catalog of files, but this would result in creating a copy of the catalog tree. each file creates just one scope, so that static analysis is much easier (which matters for tools such as UglifyJS). Rollup and Babel have different objectives, but they can be freely used together one project. Note that this installs also babel-preset-env. Why would we need it? It enables the necessary Babel plugins on the basis of the environment definition that we may pass to it (by default it transpiles to ES5). Moreover, if we configure it properly, we can use only selected transforms, which is useful when, for example, our project doesn’t have to work in older browsers and we don’t have to transpile everything. For safety reasons, it’s best to **disable module transpiling ** (with modules: false passed to the preset-env) until a script requires it (opt-in with NODEENV or BABELENV environmental variables). Some tools support both ESM and CJS module formats, but work better with ESM. It’s easy to go overboard with transpiling here, but, on the other hand, if we don’t transpile all necessary modules, we will notice it right away. If we, for example, forget to activate CJS transform, the tool that requires CJS modules will crash with a bang. Commonjs transform has loose option (read more here), but it can cause more problems than it solves, especially when we use namespace import (import * as mod from ‘./mod’). The best approach is publishing different versions of a module for various use cases. A good example is package.json which contains two “entry point” versions: main and module. Main is the standard field used by node.js ecosystem and therefore it should point to a CJS file. Module field, on the other hand, points to an ES module file (transpiled exactly like the main “entry point” minus the modules). This field is mainly used by web app bundlers like webpack or Rollup. Note: In some cases for better compatibility it’s best to omit file extensions and let each tool add them by itself. This will be discussed in next part of the article. Rollup is a bundler which merges all files and dependencies into one file, but we want to use it for a different purpose. We want it to build our library and leave our dependencies where they belong — in the dependencies. We do not want Rollup to inline dependencies’ source code into our output bundles — we want it to leave them as they are, referenced to with import statements. As mentioned above, Babel works with single files. In order do deduplicate some common runtime logic, it may insert a helper function into your files. _extends is precisely this: a helper function added by Babel. The problem is that Babel adds it to each file and we bundle our input source files into a single output file. Ideally, we’d like to have those helpers inserted only once into our bundle. That’s why we’ll use babel-plugin-external-helpers in our Rollup configuration file (nice thing is that it will warn us if we forget to do that). The best thing? In the future, it won’t be necessary to add this file manually because rollup-plugin-babel compatible with Babel 7 will do this for you. And that’s all! We have the basic use cases covered. The next part of this article will cover more advanced usages and examples. Stay tuned!